Intense prints, exquisite shapes and natural textures are the signature of Ada Kamara’s resort brand. 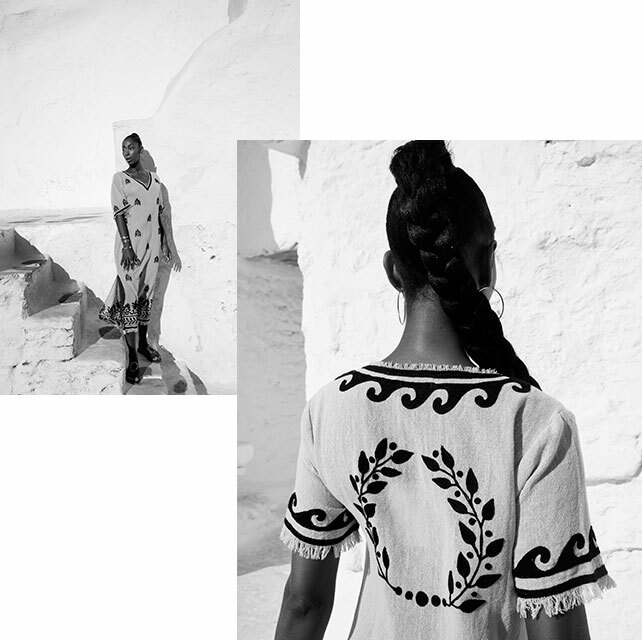 Inspired by Cycladic minimalism, blended with colorful elements of Indian culture, each single piece travels us through romance and spirituality to the endless summer. Born and raised in Thessaloniki, Ada’s first contact with fabrics and textiles came at a quite fragile age. Coming from a background of lace manufacturers, her childhood was intensely connected with textures, colors and materials. Finishing her fashion studies in Paris, Ada Kamara’s involvement with fashion and design does not come as a surprise at all. In 2003 the brand is first established in Athens. Collection after collection Ada strives to communicate elegance and ease combining simplicity with boldness and romance with adventure.